"We must remember that Our Lady understands and appreciates any actions one may take, no matter how small or seemingly insignificant they may seem to us." Jerald Franklin Archer is a violinist, composer and music teacher. 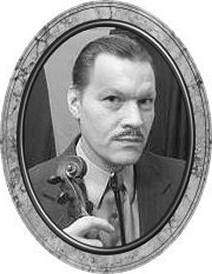 Mr. Archer began his professional career in performing with various bluegrass and country bands in Indianapolis as well as private concerts of Baroque and Early Classical Music for weddings, private and corporate affairs and Holy Mass. He has won various awards for his violin playing. He has enjoyed his musical career for over 20 years. Currently, Mr. Archer is retired from the stage and public life due to ill health and resides in Indianapolis, Indiana, but continues to teach violin online, promote traditional Catholic values and teachings, encouraging absent Catholics to return to the Church, and teaching non-Catholics the truths of the Church, through online evangelization and personal encounters. He devotes time to various pro-life campaigns and Catholic causes of various kinds. His website, www.theholyrosary.synthasite.com, introduces the Holy Rosary in multiple languages including meditations and Rosary prayers. Basic information about the Holy Rosary, its history and power, along with numerous useful links that others may use to also promote this most powerful devotion to Our Lady. What motivated you to create a website about the Rosary? Firstly, love and honor to Our Lord and Blessed Mother Mary. Secondly, a necessity for promoting that which is truth, good and eternal. In our world today, we are in dire need of prayer in our daily lives. The Holy Rosary, as a traditional Catholic devotion, is still the most powerful weapon against modernism, liberalism and for fighting heresy and vices in a world that is confused as to what is truth and what is not. 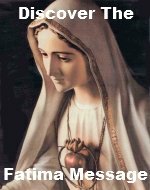 We are obliged to spread the Fatima Message, as Our Lady requested, in order to continue this constant struggle against the enemy of Christ and His Church. You are very serious about promoting devotion to the Rosary. In addition to that, a supportive community seems to be important to you. In what ways are you encouraging a supportive online Rosary network? The site allows one to be educated and use that education to educate others. Use of the materials and links on the site is highly encouraged for the evangelization process, each person doing what they can, and promotion of several Catholic causes and concerns. The promotion of the Holy Rosary is the start of other great actions. As simple as the site is in design, it is profuse in its information. 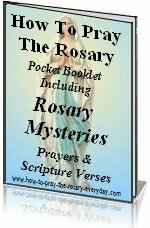 The fact that it offers the prayers of the Holy Rosary in 17 languages is only one small aspect of the site and one that seems to be well received. As there is no real "social networking" going on in the form of forums or comments, I do offer personal prayer requests. The content of the site is not open to debate or discussion. The site is really more for education and offers sound links to further the education of the Holy Rosary and the message of Fatima. A unique aspect of your site is the Rosary prayers in Latin as well as English. Why have you put the two side by side? Latin, as used in the Church, is not as foreign as one may first believe. Many English (as well as French, German, Spanish and Italian) words are derived from Latin. Latin is a dead language, which means that it is no longer subject to word meaning changes and constant word usage problems presented by time, like vernacular languages are, it is considered the perfect means in which to convey a universal message in a common language for all. This is very important, and with a little concentrated effort, one soon gets used to the sound of the language and its beauty. We do not mean to utilize the Latin language as a conversational tool, but rather as a tool of universal and unchanging communication that can by used by anyone in the world at any time, particularly when the Sacrifice of the Holy Mass is celebrated. Young people seem to really enjoy learning the Latin, which can be very useful in also learning other languages, particularly Spanish and Italian. We live in a very bi-lingual world today and it is always a benefit to be able to speak another language. In the communication of the Catholic Church, Ecclesiastical Latin is also a tradition, which should be preserved and promoted as much as possible. The recitation of the Holy Rosary in Latin is not really difficult at all, as the prayers are few. The Traditional Latin Mass is gaining popularity especially among the youth and young priests alike. Do you think the use of the Latin language has anything to do with this renewal? I dont think that it is so much the aspect of the Latin and its use that has aided in the renewal of the Traditional Latin Mass (Tridentine Mass). There is a great need for the return to proper and solemn worship practices that have been neglected, and even been greatly distorted, by modernistic novelties and liturgical abuses of the past and in some parishes, are sadly still present. These elements of modernism and secular liberalism have been embraced by some in a culture that confuses progress with change, often not even realizing the error. It seems that with the return of the Traditional Latin Mass, many absent Catholics are now returning to the Holy Sacrifice of the Mass, in its truest and most profoundly reverent form, remembering that it is a sacrifice and not an entertainment event. The Tridentine Mass requires the participant to consciously concentrate on what they are doing, thus the benefit of seeing and hearing is effective in and of itself. The solemn nature of the rite alone, and the complete focus on the worship of God alone is the very aspect that makes it such a profoundly beautiful thing, if one is able to see this. This profound experience of truth and holiness is often the very thing that many Catholics, once they assist at a Traditional Latin Mass, will immediately realize they have been missing in the last 40 years or so in many parishes all around the world. This change has been a prayer of many Catholics for a great long time. Real progress is about knowing what works, what does not work and keeping that which is proven both by time and necessity. It is the young who must carry on the traditions and I am very proud of what I see today, which in many ways, says a great deal about the future of the Church, God willing. I enjoy opera myself and in order to understand what is happening on the stage, one must follow the libretto, which often is translated to the native tongue. This is actually the very same way in which we use our Missals during Mass. It fosters attention and complete understanding, but takes some effort, which becomes much easier as one practices it. How has your faith and the Rosary in particular influenced your career as a musician? Although my gift of music is a blessing, I try to keep in mind that it is still secondary to my faith. Yet, in the past and in the height of my career, this was not always the case. Before my retirement as a professional musician, I was able to see much of the world, its trappings, temptations, vanities, human shortcomings and other worldly aspects that I was often guilty of indulging in, often to the degree of mortal danger to body and soul. I witnessed both the good and evil that man is able to practice and did not always make the right choices myself. My faith kept me from falling too fast into sin (at times), and with time and the grace of God, these negative events and incidents only helped to educate me better. One can only gain true wisdom by being aware of the lessons that life gives us, which is an ongoing education until the day we die. As for the follies of my past life, one may blame it on youth or ignorance, but one must never make excuses for sin. My true and constant realization of what was truly eternal and what was passing vanity was seemingly always clear to me, even if I was not as active in the Church or promoted the Holy Rosary as I am today. Now things are much different and I try to dedicate all I do for the Glory of God and never myself. God truly does produce very good things from the very bad things. This is really what grace and the mercy of God is all about in our lives, but can only be of benefit to all if we allow ourselves to forget ourselves completely, and embrace Christ with unabashed abandonment and resignation to the Will of God. How has praying the Rosary brought peace and serenity to your life? As I am an invalid now, I find great relief in the Holy Rosary in a great many ways. I often do not pray it as much as I feel I should, particularly as I have the precious commodity of time available more than I did in the past. Yet, I am confident of the power of the Holy Rosary, its great benefits to others both living and dead, and of course the great honor it offers to Our Lord and Blessed Mother. We must remember that Our Lady understands and appreciates any actions one may take, no matter how small or seemingly insignificant they may seem to us. The meditations sooth and calm the mind, ease the tensions of the trials of the day and even allow us to learn a lesson or two, most certainly teaching us many important virtues we can use in our daily lives. It has even helped in times of severe physical and mental pain just to hold a blessed Rosary in the hand. When we contemplate and meditate upon the Passion of Our Lord, and we truly see what He and Our Lady endured, we should come away with a realization we are more blessed than we often imagine no matter how bad things may seem. Our suffering is nothing compared to what Our Lord and Holy Mother endured. I also observe that Redemptive Suffering is also something that we seem to have lost the practice of today, but as more Catholics are educating themselves through the great technology available today, the practice is becoming better known. Is there a final thing you would like to share? Pray the Rosary and wear the Brown Scapular always. Promote the Holy Rosary by allowing others to see it on your person in some manner, as this fosters questions from others, sometimes both good and bad, but we can only teach others the truth only if we know what the truth really is. Imitate Christ in all things. We must always be ready to defend what is truth by educating ourselves, praying for guidance before we speak or act, and then gently correct the errors of others with great charity and prudence. Remember, the Holy Rosary is a tool in so many ways that seems to be endless in its uses, and is a weapon of such great power against evil that one would never fear treading even where angels would fear to tread themselves. No matter how small your actions may be, just do your best, always allowing God to direct all things, and that will be enough to get great things done. Check out Mr. Archer's informative site at www.theholyrosary.synthasite.com as well as his musical performances on YouTube. Please share your comments here. Do you have a great story about this Rosary promoter or information to share that has helped you? Please share it here! To see what others have already shared about this promoter go here. Your comment or story will appear on a Web page exactly the way you enter it here. You can wrap a word in square brackets to make it appear bold. For example [my story] would show as my story on the Web page containing your comment or story. To read more Rosary Promoter interviews or to learn how you could be one of our featured Rosary Promoters, go to our Rosary Promoter section! Return from Jerald Franklin Archer page to our Home page. Almighty and everlasting God, look upon the Heart of Thy well-beloved Son and upon the acts of praise and satisfaction which He renders unto Thee in the name of sinners; and do Thou, in Thy great goodness, grant pardon to them who seek Thy mercy, in the name of the same Thy Son, Jesus Christ, Who liveth and reigneth with Thee, world without end. Amen. He led a quiet, peaceful, humble life. Yet he held the highest position bestowed upon the human race.